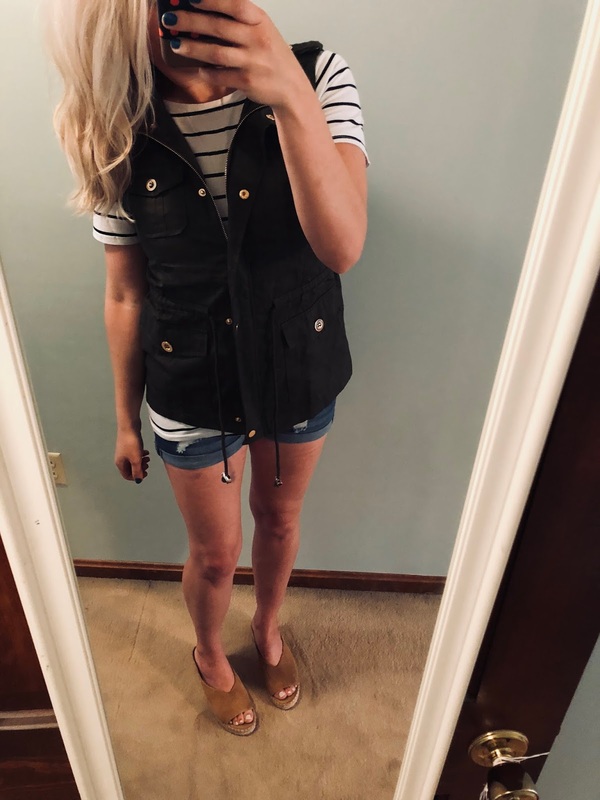 I went on a mission to find myself a good spring wardrobe after cleaning out my closets a few weeks back. 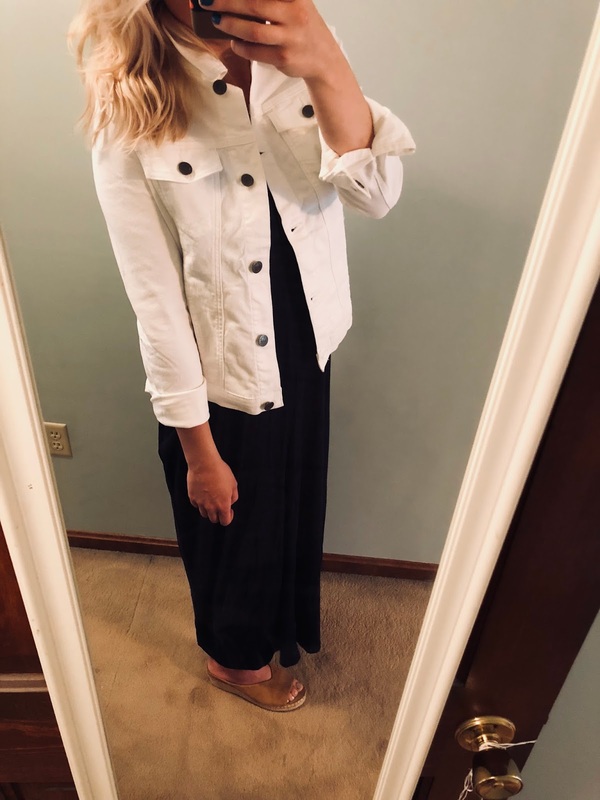 The idea of a capsule wardrobe has been particularly buzzy as of late, and goes along with a minimalist way of thinking and living, because who doesn’t have a large selection of unworn, often low-quality items? Guilty. 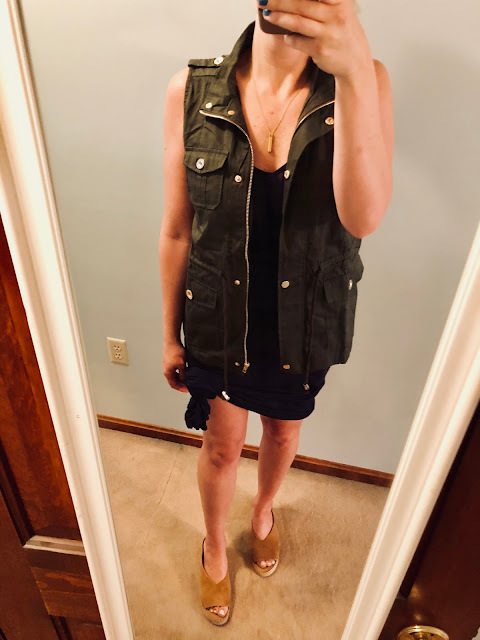 I decided to reduce and whittle down, and found these 7 staple items for $175 TOTAL that mix, match, and coordinate with each other perfectly. I love that I can maximize their use this way. You can never go wrong with neutral basics, and if anybody knows my style, these are sort of what I live for. For size reference, I’m 5’7” and 145 lbs. and typically wear a size M top and size 6-8 bottom. 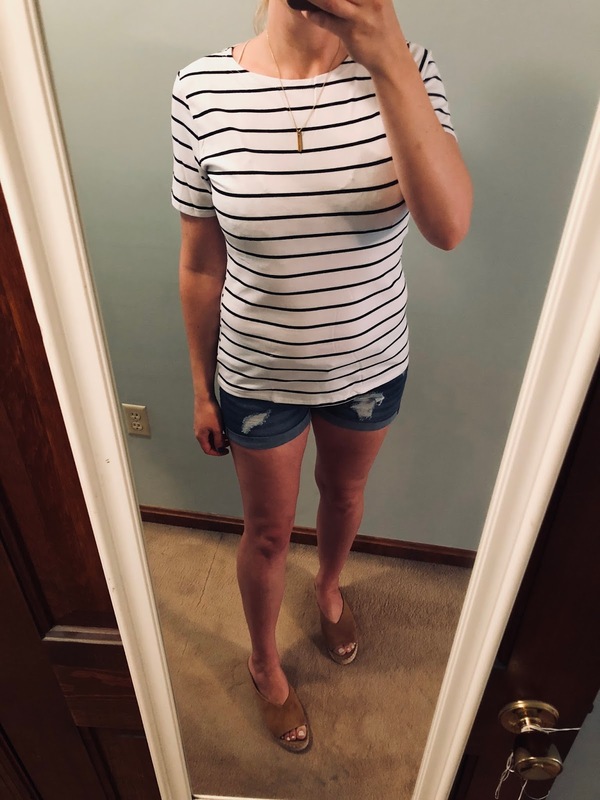 Striped Tee: Stripes are my guilty pleasure, and I just can’t stay away. But really, they coordinate with everything and add a little patterned pop. I sized up to an L in this and it fits perfectly. Denim Shorts: These are THE MOST FLATTERING denim shorts with a bit of stretch, the perfect amount of distressing, and a higher waisted fit. I ordered size Medium and they are just right. I love the cuffing and the contoured fit on your legs that keeps everything covered. These are the shorts you need for chasing kids around. They’ve quickly turned into my favorite shorts I own, and they’re only $14.00. 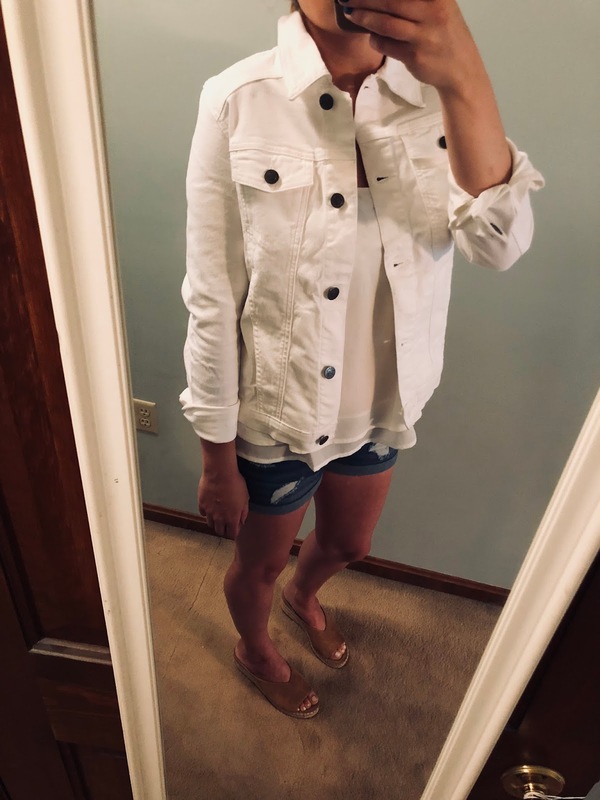 White Denim Jacket: Great for chillier spring days or summer nights. This goes over top of anything and has an unbeatable price for a denim jacket. It has a bit of stretch, but still fits true to size. Espadrille Sandals: Must have shoe of spring and summer. I’m already on the taller side and rarely buy anything with a heel (also—mom life) but these espadrilles are perfect. They have a little bit of a platform to fancy up anything you wear, and transition from denim shorts to dresses. The best part is how comfortable they are. I wore them for a whole day and to the park without even thinking about it. They fit true to size. 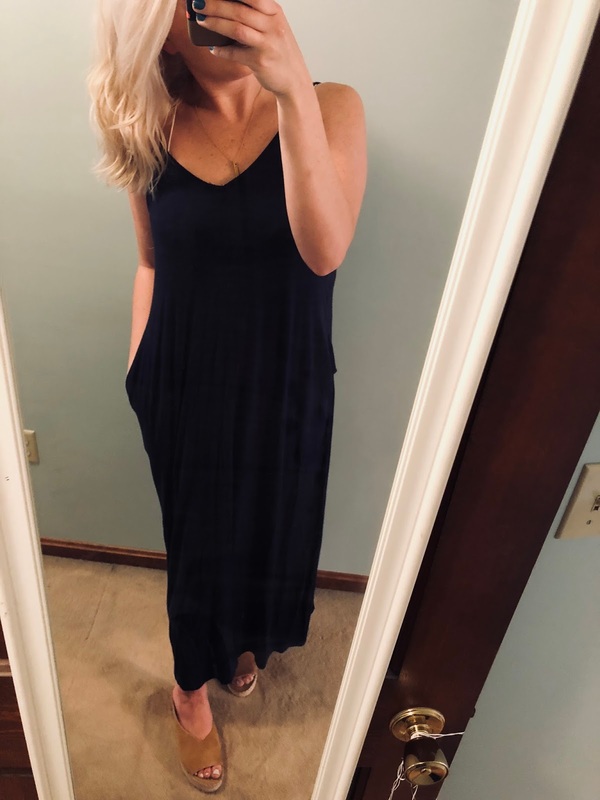 Maxi Dress: the most versatile maxi dress that you can knot up or wear long and flowy. Size down 1 or even 2 sizes. I typically wear an M, and even the S is roomy on me. Layered Chiffon Cami: So pretty and flowy, this basic cami has a double layer at the bottom that brings a little something extra. You can wear this under anything and would look even better with a tan. Fits true to size. 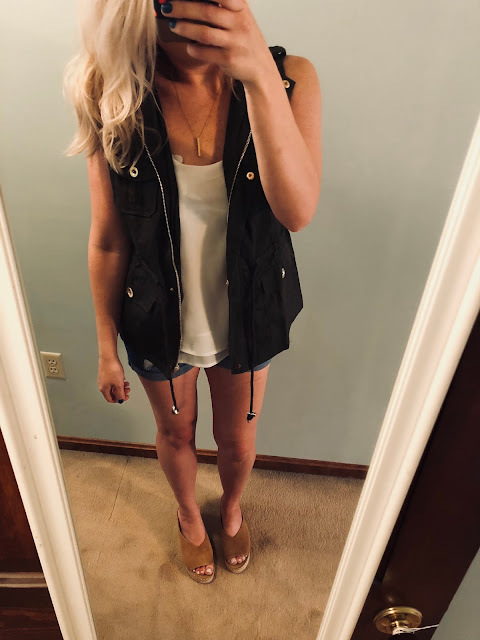 Utility Vest: So cute and on-trend, throw this vest over anything to add some more character. Fits true to size.